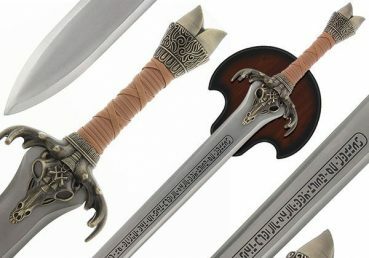 Thranduil is a powerful Elf-Lord and a legendary fighter. 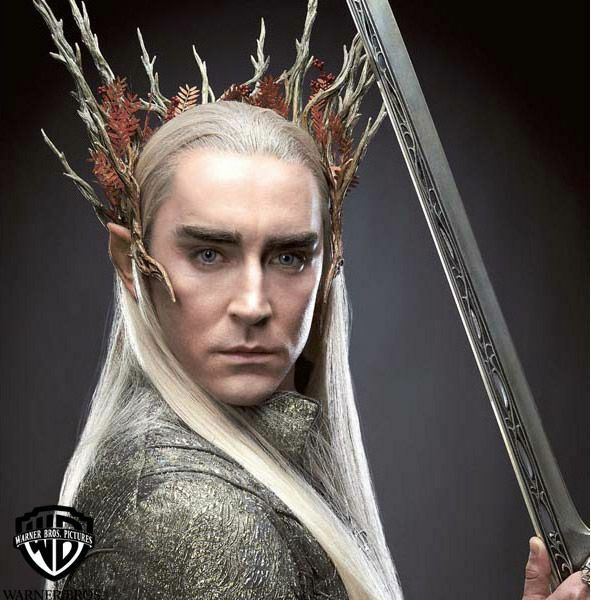 King of the Woodland Realm, he rules over the northern lands of the great forest known as Mirkwood. 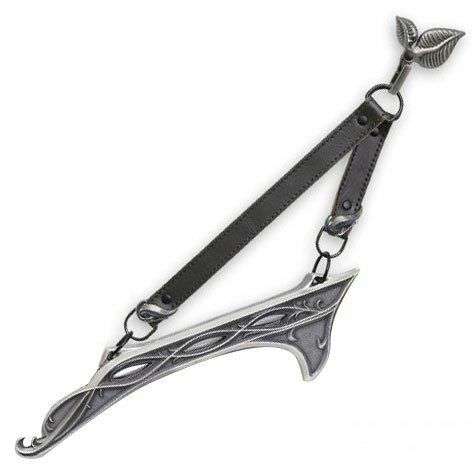 The design of Thranduil’s sword and hanger is both elegant and deadly, combining nature with Elven artistry. 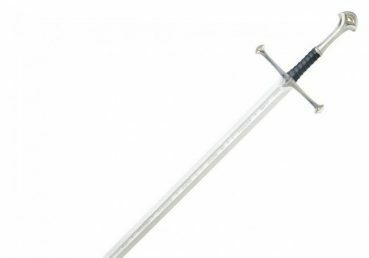 The hanger left the sword blade completely exposed when worn, striking fear into Thranduil’s enemies at the sight of naked Elven steel. 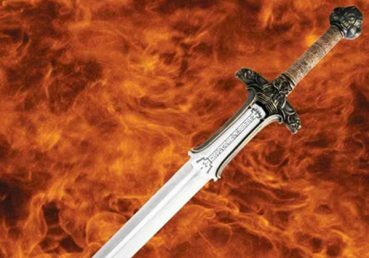 This authentically detailed replica is a reproduction of the actual filming prop used in the motion picture, The Hobbit: The Desolation of Smaug. 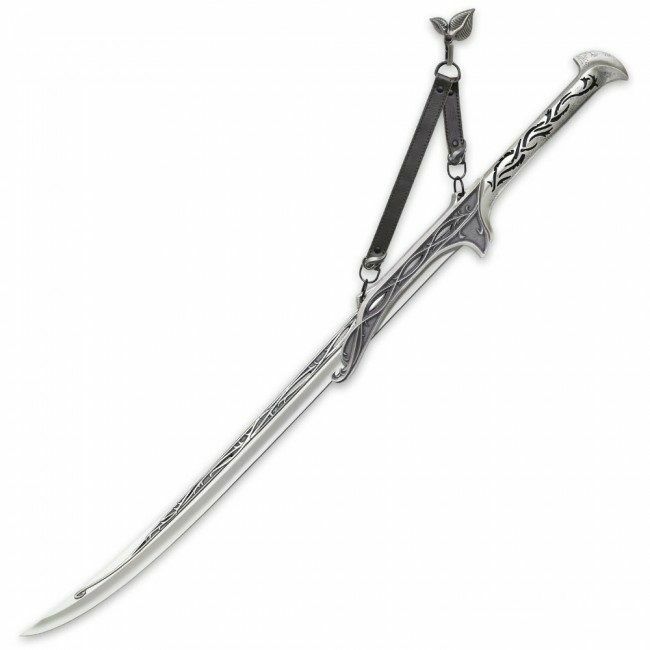 It has been authentically finished and decorated to duplicate the original movie prop and it is crafted from cast metal with genuine leather straps and cast metal fittings. 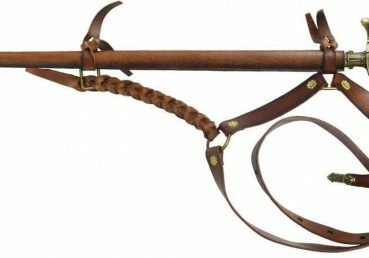 It comes ready to mount on a wall with a decorative metal display hook and includes a certificate of authenticity.